On this West Virginia Morning, President Donald Trump’s call to implement the death penalty for drug traffickers grabbed headlines Monday. But public health officials are stressing other elements of the administration’s plan to address the opioid crisis. Aaron Payne spoke with the acting director of the Centers for Disease Control about plans for the Ohio Valley. On this West Virginia Morning, the Center for Disease Control’s National Institute for Occupational Safety and Health released a study last month on the largest cluster of complicated black lung cases ever reported. Kara Lofton spoke with WVU School of Public Health physicians Carl Werntz and Anna Allen about the study and what it means for West Virginia. 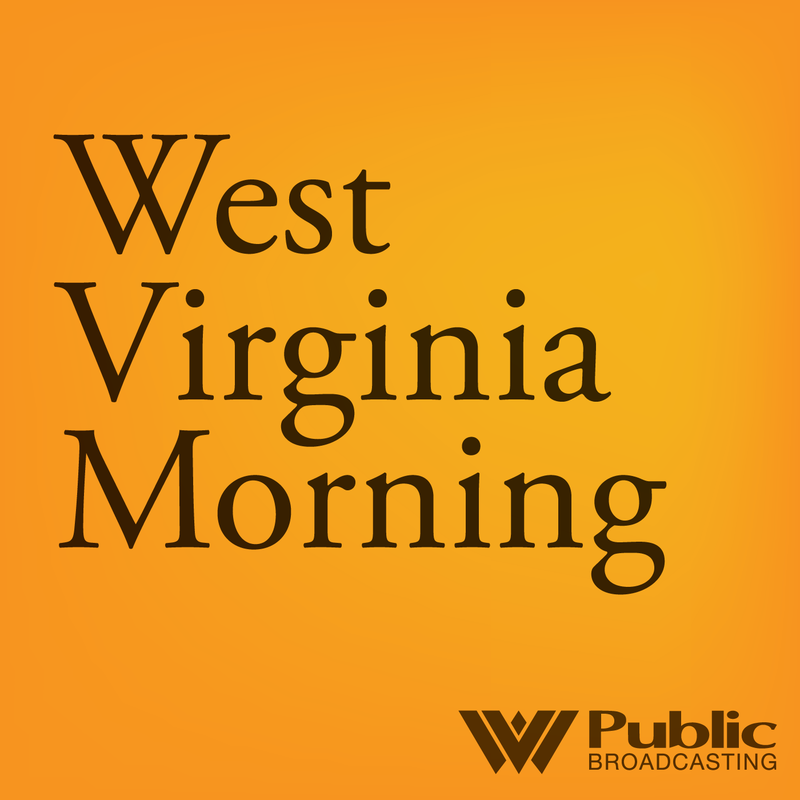 Listen to West Virginia Morning on March 20, 2018. On this West Virginia Morning, we explore attempts to finding solutions to the region’s opioid epidemic, and we hear a story from the Ohio Valley ReSource on the potential impacts of tariffs on imported steel and aluminum. On this West Virginia Morning, West Virginia Public Broadcasting is partnering with the Concord University’s Social Work and Sociology Department for the second annual Opioid Symposium and Job Fair. On this West Virginia Morning, West Virginia Public Broadcasting had the chance to interview our U.S. senators about the issues facing Congress and the nation. Usually, our reporters come up with the questions, but this time, we asked you, our audience, to come up with questions to ask Sen. Shelley Moore Capito. UPDATE 3/20 5:30 PM - CANCELED: The symposium has been canceled due to weather. Organizers hope to reschedule this summer. Since late February tree sitters have been perched in two trees atop Peters Mountain in Monroe County. They are so remote, few have seen or heard directly from the protestors, but still there’s plenty of people noticing. Nancy Andrews reports. And we’ll hear a preview of this week’s episode of Inside Appalachia, which explores the lessons of the recent W.Va. Teacher Strike. Saturday March 17th is “Mountain State Maple Day” in West Virginia. Sugar shacks and maple operations around the state will open their doors to the public. Maple syrup has a long tradition in the high mountain regions of our state, and the industry is growing. As part of our ongoing series called “Appetite Appalachia”, this morning, we’ll hear two stories about maple syrup farmers in the Mountain State. It’s part of a new collaboration between West Virginia Public Broadcasting and the West Virginia Department of Agriculture. In this episode of West Virginia Morning, we meet Brandon Daniels, a producer who has been making maple syrup for nearly 30 years. Lawmakers discussed several bills around opioid abuse and prevention this session, including the Opioid Reduction Act and have re-examined the state's medical marijuana law. Michael Brumage is the new director of the WV office of Drug Control Policy. Health reporter Kara Lofton talked to him last week about the role his office plays in implementing legislative policy. West Virginia Republican Gov. 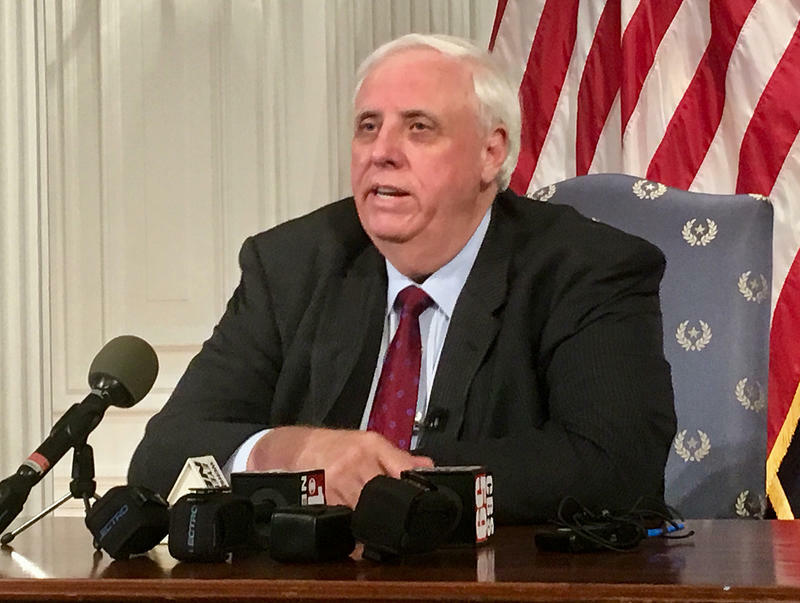 Jim Justice says he has fired Secretary of Education and the Arts Gayle Manchin ahead of his decision on whether to veto legislation to reorganize the agency. Justice announced the move in a news release Monday. 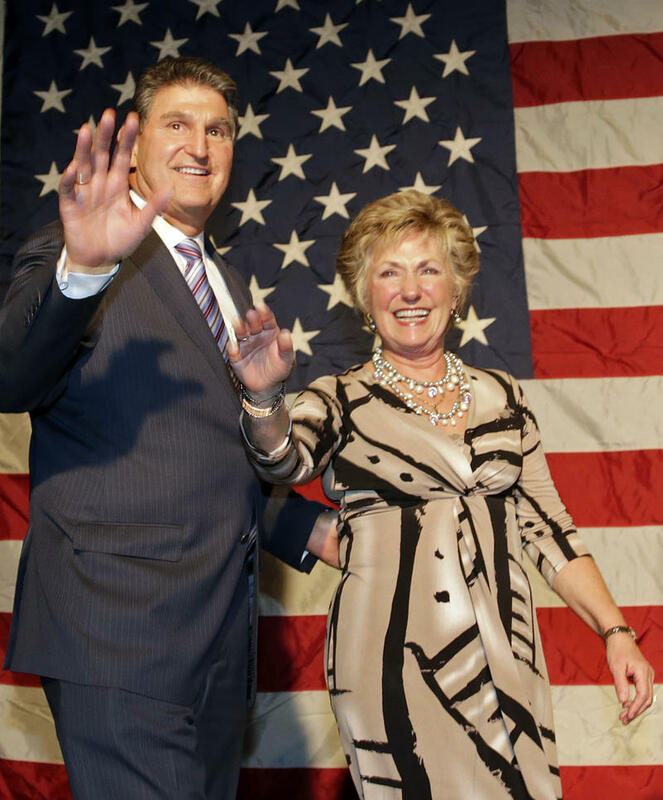 Manchin is a former state school board president and is the wife of Democratic U.S. Sen. Joe Manchin. On this West Virginia Morning, the 2018 regular session of the West Virginia Legislature ended at midnight on Saturday. The final hours were hectic at times. Many bills passed at the last minute and others died on the chamber floors. Senior reporter Dave Mistich was in the thick of things at the Capitol. He spoke with news director Jesse Wright about those final hours. Saturday, March 10, marked the 60th and final day of the 83rd West Virginia Legislature's Second Regular Session. Update: March 11, 2018 at 12:31 a.m.
House Bill 4345, which would expand West Virginia’s medical marijuana law by increasing the number of dispensaries and growers, and providing for banking facilities related to the industry, died in the final minutes of the 2018 state legislative session. House leadership cited procedural delays in not bringing the bill up for a vote on the floor. The Senate had passed HB 4345 at about 6:30 Saturday evening. On this West Virginia Morning, Wyoming County was the first to decide to walk off the job during the recent statewide teacher strike, starting what some folks are calling a labor movement. Inside Appalachia host Jessica Lilly caught up with Wyoming County teacher Nina Tunstelle on her way up to Charleston before the walkout ended. The Charleston Gazette-Mail, in collaboration with West Virginia Public Broadcasting and Oscar-nominated filmmaker Elaine McMillion Sheldon, is producing a crowd-sourced mini-documentary on the just-completed West Virginia teacher strike. On this West Virginia Morning, the teacher work stoppage is over and schools are back in operation, so now attention at the Capitol has shifted to the state’s budget. After nine long days of a teacher and service personnel work stoppage, it looks as if it’s come to an end. Lawmakers agreed Tuesday to a five percent pay raise for teachers as well as a five percent pay increase for all public workers. Following the signing, union leaders say they are readying teachers and other school workers to get back on the job. Tuesday March 6th is the ninth day of the teacher and school personnel work stoppage over pay and benefits. On last night’s episode of The Legislature Today, host Andrea Lannom spoke with Bob Brown of the American Federation of Teachers – West Virginia chapter. The West Virginia Education Association, AFT, and the West Virginia School Service Personnel Association said in a joint statement this weekend they were quote, "angry and disappointed” with the Senate’s actions. 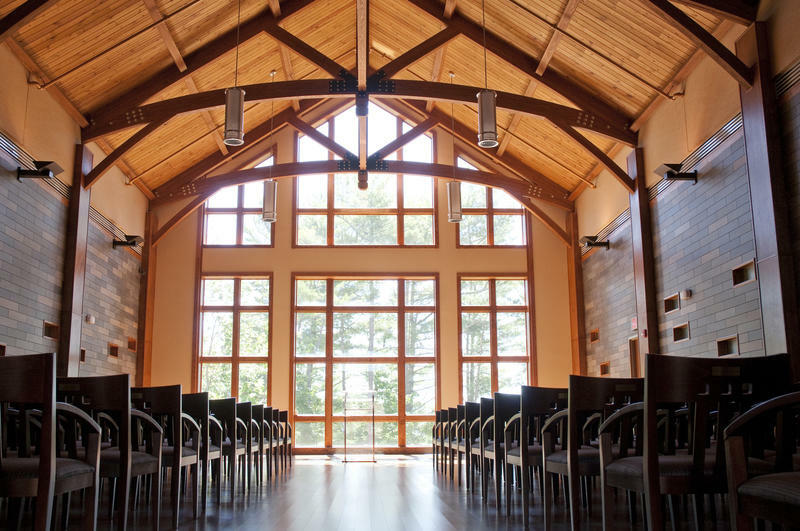 Its name is inspired by the First Amendment, and its goal is to "act as a national mirror, taking time to help America look at itself and to ask what it wants to be." 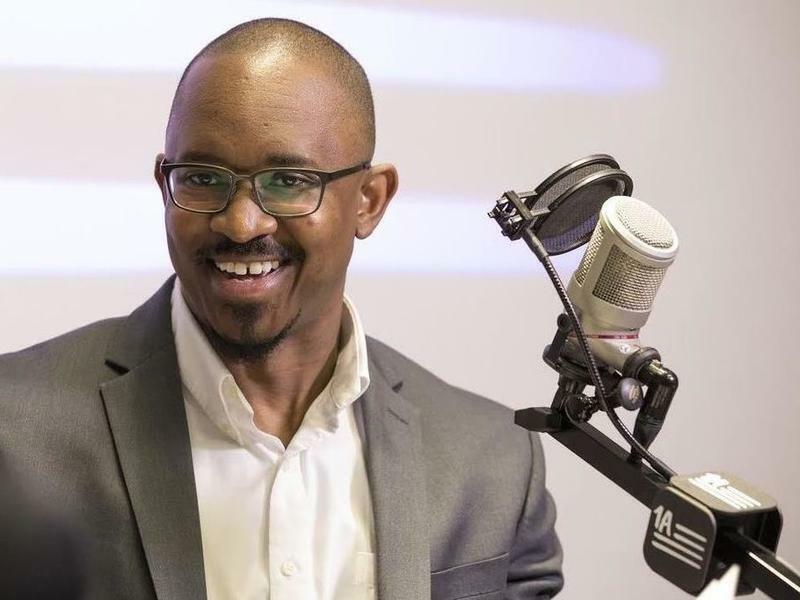 It's "1A" and it will start on WVPB's radio network Monday, March 12 at 2 p.m.
"In our most recent listener survey, we saw a lot of support for bringing 1A into our schedule," said WVPB CEO Scott Finn. "Also, 1A has been including many West Virginians on the show, including Delegate Jill Upson from Jefferson County. On this West Virginia Morning, the West Virginia House of Delegates moved swiftly Wednesday night to pass a new 5 percent pay raise package for teachers, service personnel and state police – acting on a revised revenue forecast from Gov. Jim Justice. That bill made its way to the Senate yesterday Thursday but was not taken up in committee. On last night’s episode of The Legislature Today, host Andrea Lannom chatted with Senate Minority Leader Roman Prezioso about the situation at the statehouse. On this West Virginia Morning, Gov. Jim Justice revised his revenue estimates for next year, which allows for a 5 percent pay raise for teachers and state service personnel. But schools remain closed Thursday, with thousands of state employees still concerned about ballooning insurance rates. On last night’s episode of The Legislature Today, host Andrea Lannom spoke with Senate Finance Chairman Craig Blair about these issues. We have an excerpt from that interview. On this West Virginia Morning, after meetings Tuesday with Gov. Jim Justice, leaders of teacher and service personnel unions say the work stoppage will end Thursday. Dave Mistich reports on how the news was delivered and reaction from lawmakers. On this West Virginia Morning, we have the latest from the Capitol on the ongoing teacher walk-out and protest at in Charleston. With the continued approach of county school officials remaining in question, the potential of legal action to be decided by the state board of education and legislative deadlines looming, educators and school workers yet again plan to head to the Capitol in Charleston to rally lawmakers for better pay and health care benefits. 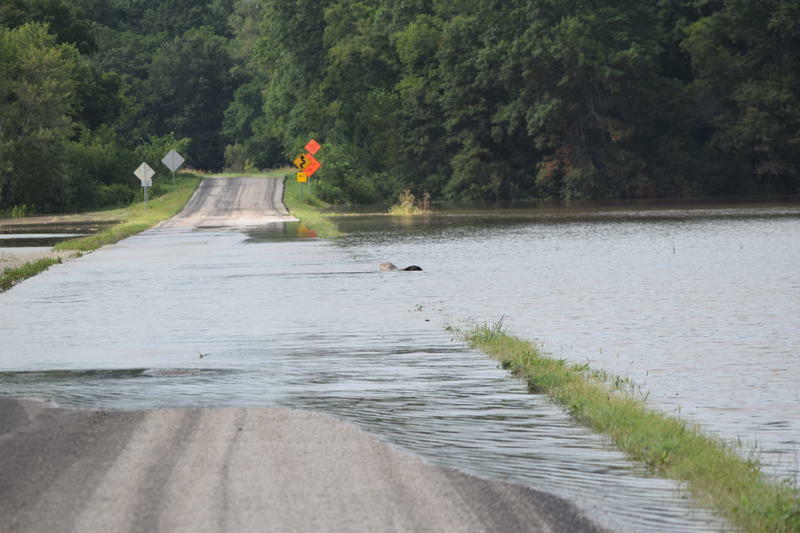 Flood Watch Issued Along Ohio River in W.Va. The National Weather Service has issued a flood watch for Cabell, Jackson, Mason, Pleasants, Tyler, Wayne, and Wood counties until 1 p.m. Sunday afternoon. Runoff from this rain will continue to flow into streams and rivers, potentially leading to flooding, especially the Ohio River. A cold front is expected to push through the region late this morning, bringing the threat for heavy rainfall to an end by this afternoon. On this West Virginia Morning, all 55 West Virginia county school systems were closed yesterday and continue to be closed today, because of a two-day work stoppage over teacher salaries and Public Employee Insurance Agency costs. Reporter Dave Mistich breaks all the issues down for us. On this West Virginia Morning, in the wake of school shootings in Kentucky and Florida, there has been a rash of copycat school threats throughout the Ohio Valley, leaving law enforcement and education officials grappling with how to improve security. A school counseling expert from West Virginia University says it’s useful to look at the potential school shootings that did not happen. Glynis Board reports that his work focuses on how schools have successfully averted shooting incidents. The West Virginia House of Delegates has passed a bill that would expand a work requirement for some people who receive federal food assistance. House Bill 4001 would create a workforce requirement for able-bodied adults without dependents who receive food benefits through the federal Supplemental Nutrition Assistance Program, also known as SNAP. Dave Mistich reports from the Capitol. On this West Virginia Morning, tension continues to mount at the Statehouse over education-related issues. 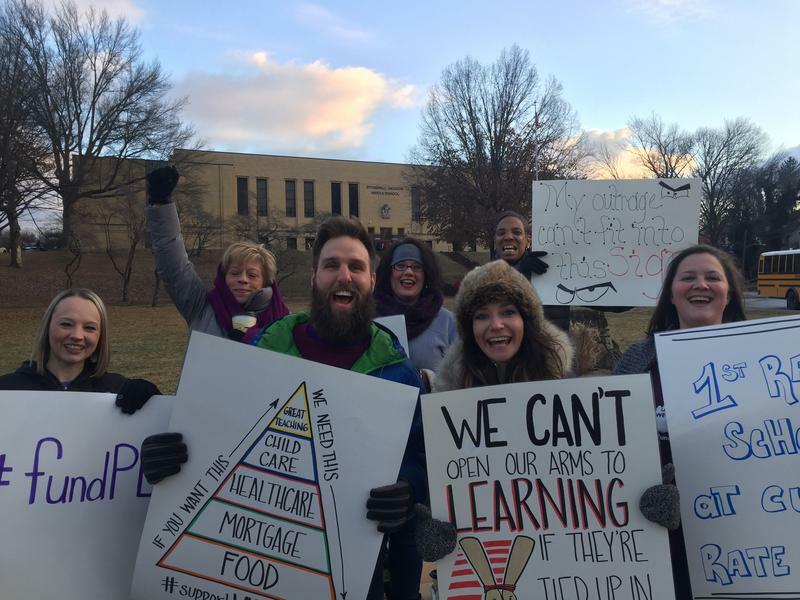 Thousands of teachers and public service personnel rallied on the Capitol steps over the weekend demanding change. On last night’s episode of The Legislature Today, host Andrea Lannom spoke with Senate President Mitch Carmichael and Senate Minority Leader Roman Prezioso. We have an excerpt from that interview. On today's West Virginia Morning, a statewide walkout has been announced for teachers and other state employees for Thursday and Friday this week. As Liz McCormick reports, the announcement was made during Saturday's rally at the state Capitol, in Charleston.